How can a CIO 'get digital' while balancing a finite IT budget? As digital innovation continues to gain pace, shifting consumer expectations around how products and services are communicated, delivered and supported, the role of the CIO is evolving. In this role, the CIO faces the challenge of balancing a finite IT resource with the business’s demand to ‘get digital’. Apptio’s CMO Chris Pick explains how a holistic view of IT spend can help this new breed of CIOs to identify areas of IT where programmes aren’t being utilised to their full capacity, and in turn, how this transparency enables CIOs to have an open, fact-based conversation around usage and spend with business leads. Digital innovation continues to upend the market and shift consumer expectations about the way products and services are communicated, delivered and supported. As a result, today’s CIO isn’t accountable for just the IT department. With every business becoming a technology business, today’s CIO is arguably the most important C-level executive within an organization. The IT department is now becoming a service provider to the whole business, and the role of the CIO has to evolve if it is to properly support the digitalisation that is required to deliver optimal service, agility and competitive advantage. Not only does the CIO have to manage the vast everyday IT operations in a business, but they also facilitate the constant demands for digitalisation from other heads of business. Thanks to innovative services and cloud technologies being released by companies such as Google, Microsoft and Amazon, expectations have changed. The CIO faces the challenge of balancing a finite IT budget with the demand to ‘get digital’ – both from an internal IT perspective and in the products and services the business offers its customers. Recent research illustrates this well. In a recent Gartner survey, only 42% of CEOs said their business had already started its digital business transformation and further research shows that the average CIO is spending 18% of their budget on digital transformation. However, that figure is predicted to rise to 28% in 2018 highlighting the necessity for all CIOs to turn their attention towards digitalisation. This predicted growth in IT spend on digitalisation stands in stark contrast to the 2.2% increase that CIOs believe their budgets will receive in 2018, putting even more strain on IT. This juggling act can prove even more of a challenge for CIOs as business unit leaders, CMOs, or even CEOs, are clamouring to lead this digitalisation process in various areas, putting the CIO in a problematic position. Today CIOs are faced with tighter IT budgets, yet are somehow expected to simultaneously support the business’s desire to transform. Research from Altimeter shows that customer experience is the main influencer over digitalisation, and as a result CMOs are the leaders in 34% of cases, as opposed to the CIO/CTO who is only leading 19% of digital transformations. For some businesses, adopting cloud solutions offers a quick fix and a means for adopting digital services. However, it’s not as simple as turning off a data centre and letting AWS do the work. And unfortunately those companies that don’t turn off their legacy systems ultimately end up spending more. Cloud IT costs are growing increasingly difficult to track. Cloud brings a new business model for IT that enables rapid innovations, yet many businesses do not have master service agreements in place with cloud storage and computing providers. As a result, prices can change on an hourly basis – one cost one day and another rate another day. In addition, many organisations are lacking insight into the costs and usage of SaaS applications such as Salesforce.com and Office365. Because the usage of these applications often spans the organisation, it can be hard to recognise when unused licenses are not retired accordingly and many IT leaders find themselves accruing unnecessary costs over time. The cloud has the potential to massively change the way IT funds and delivers projects and services, but to do this IT leaders must know where cloud can help reduce fixed resources, prioritise and manage cloud migration and quantify the impact of cloud investments on the business. Still, the agility provided by the cloud is important for IT leaders focused on driving innovation and digitalisation. Most organizations start with looking at the existing corporate IT budget to fund digital initiatives like this. As a result, CIOs need to be able to provide business units with a transparent, holistic view of their IT spend in as timely a manner as possible. The rapid pace of digitalisation means that IT has to be able to provide these valuable insights in a short time-frame. Trawling through endless spreadsheets from different departments and managing version control can result in such enquiries taking weeks to carry out, delaying the process of digital transformation and costing the business money. A holistic view will help to identify areas of IT where programmes aren’t being utilised to their full capacity, enabling the CIO office to have an open conversation with the respective team(s) about whether the use of that service makes financial sense moving forward – especially if the same department has requested the use of another service. A common example of this in practice is app rationalisation, where it is only with a transparent view of all IT spend that the IT department make an informed version over which versions are necessary, and if the cost of consolidating is worth it. 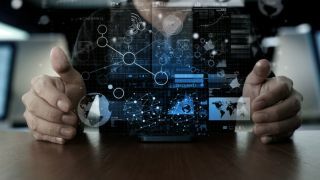 To improve the overall implementation of digitalisation, both in practical and monetary terms, the CIO has become the essential partner to the relevant business department in question, providing a transparent view of current IT spend – and the possible levers and impact analysis for any proposed change. This ability to communicate on IT decisioning across the business, using fact-based cost and impact data, is critical to making the right investments and driving the right business growth strategy – be that digitally or otherwise.